Flybe Exeter Contact Centre - Job Losses? Flybe Exeter Contact Centre – Job Losses? 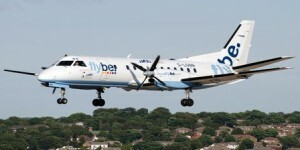 – It has been reported that Flybe are to close its Exeter based contact centre with the loss of up to to 100 jobs. The Budget Airline has confirmed that the company is moving to a new location in an effort to reduce operating costs; at present the contact centre operation is outsourced to Sitel on a three year outsource contract which commenced January 2013..
Be the first to comment on "Flybe Exeter Contact Centre – Job Losses?"